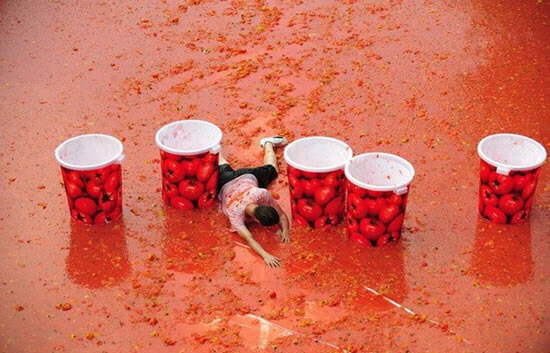 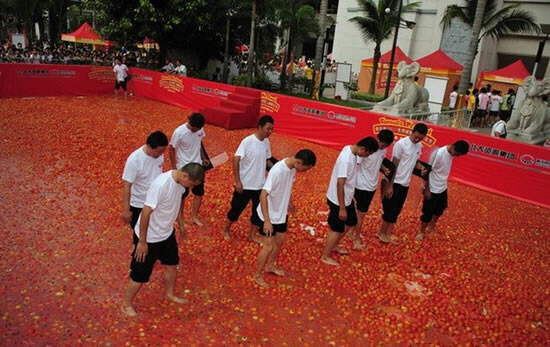 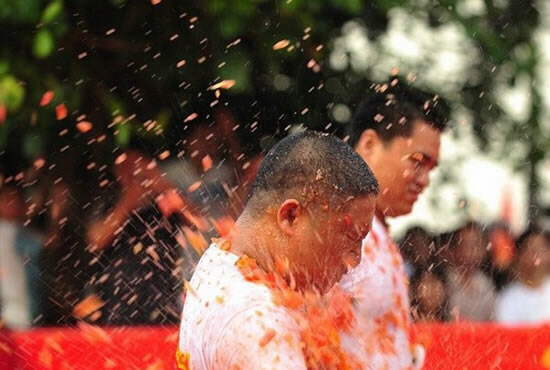 Inspired by La Tomatina Festival in Bunol, Spain, about 10,000 people of Dongguan, southern Guangdong province, China, organized their own tomato fight on October 19. 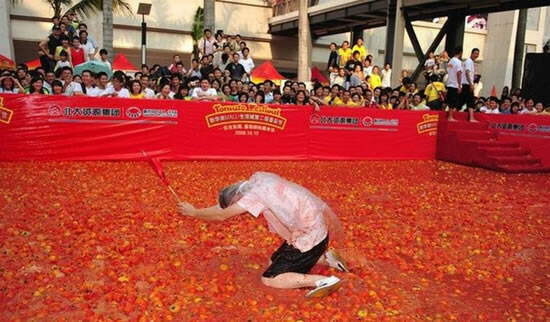 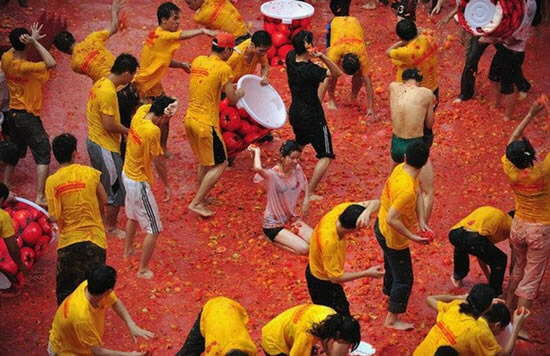 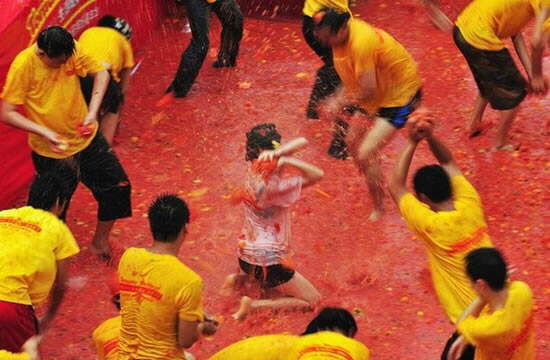 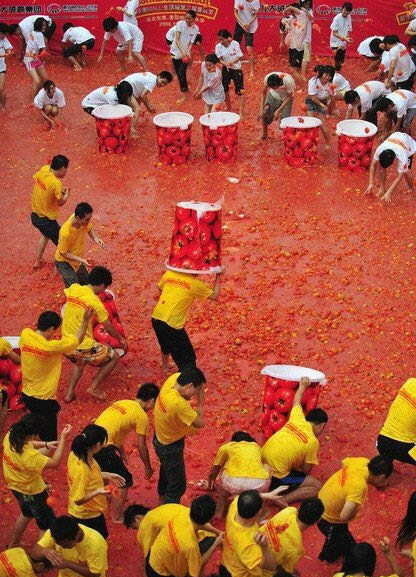 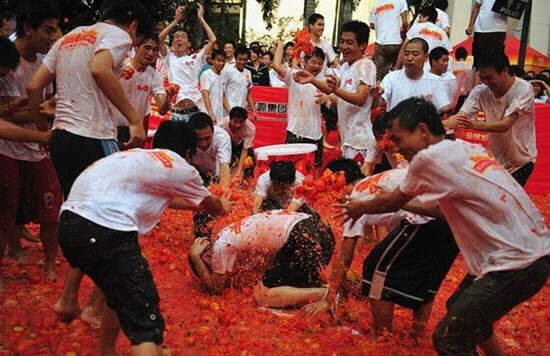 Over 15 tons of tomatoes were used in this over-sized food fight and this led to a huge controversy both online and in the national media. 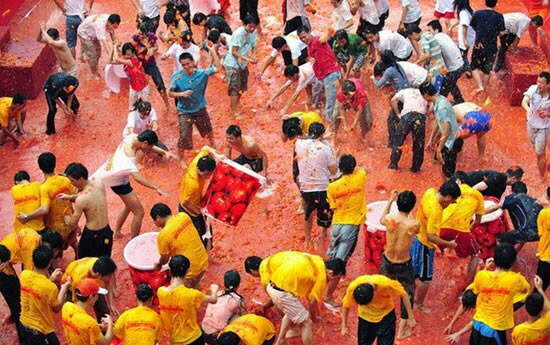 People were baffled when they saw so much good food go to waste for a few hours of entertainent, in a country where some people are still starving. 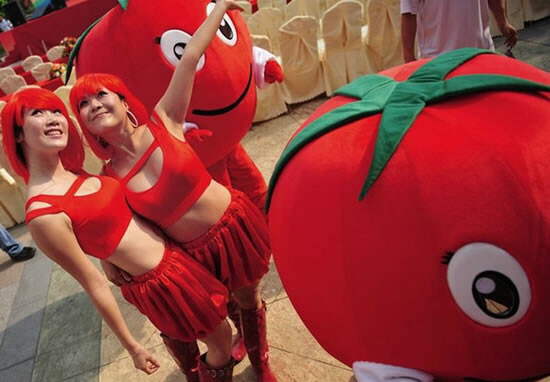 That's a good point if you ask me, why wate food when you can't afford to eat?